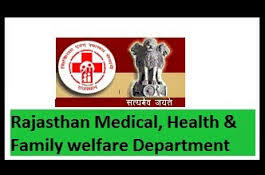 Directorate of health and family welfare service Rajasthan published the official notification on 24 august 2017 for general Nursing and Midwifery training 2017-18. All eligible candidates who want to do GNM training from government and private nursing school affiliate from Nideshalaya Chikitsa Swasthya avam parivar kalian sewae Rajasthan Jaipur, they can fill application form online at the official website raj Swasthya nic in. Online application form submission has been started from 29 august 2017. Last date of application form submission is 20 September 2017. Eligibility criteria: education qualification: Intermediate pass with at least 40 % marks for general and OBC category candidates and minimum 35% for SC /ST category candidates. Preference will be given for Intermediate with science subject. Age limit as on 31 December 2017: Minimum 17 year and maximum 28 year for male candidates and 17 to 34 years for female category candidates. Seat details: seats matrix are yet not published. All seats of government and private Nursing College will be filled through counseling. Seats details will be updated before counseling. 80% seats will be reserved for female candidates and 20 % seats will be filled from male candidates. Training fee: government college – rs 180 per year and Private nursing college – rs 50000 per year. Selection procedure: selection of the eligible candidates will be based on through the online state level academic merit. Application form fee – rs 200 for general and OBC category candidates and rs 100 for SC /ST category candidates. Application form fee will be deposited through online mode.